I read this article and found it very interesting, thought it might be something for you. 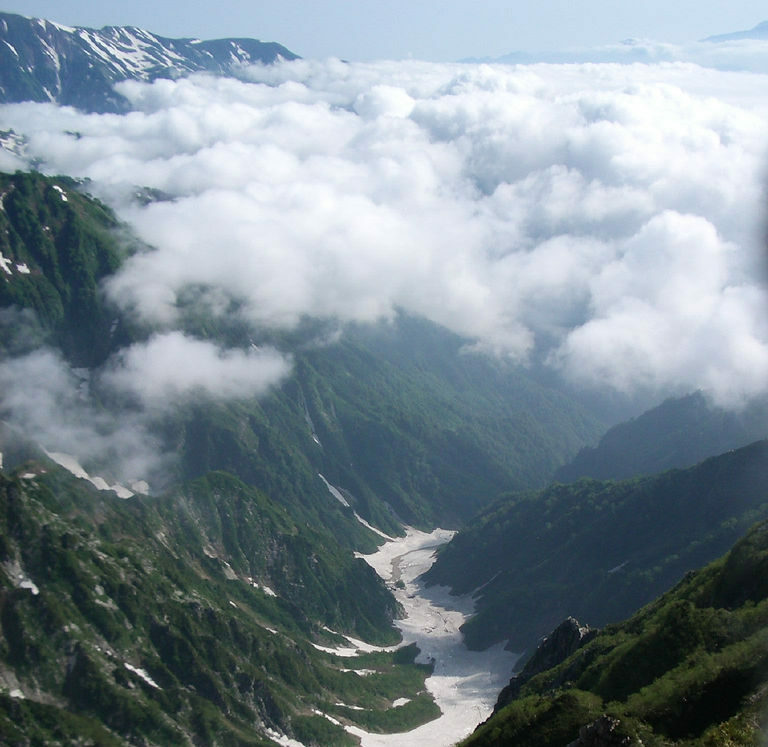 The article is called 7 Things To Know About Hakuba Valley and is located at http://trip-n-travel.com/listicle/7056/. Hakuba valley is located in the Northern Alps of the Nagano Prefecture. This is one of Japan’s most attractive ski regions, offering nice snow and many large ski options to choose from. Hakuba earned a worldwide reputation when it hosted Nagano Winter Olympics of 1998. Some of those Olympic buildings are still in use, including Hakuba Ski Jumping Stadium. Very near to the ski jump is the Hakuba Olympic Village Memorial Hall, not particularly large but yet very interesting museum. Fees vary from one resort to another but there are some interesting discounts. 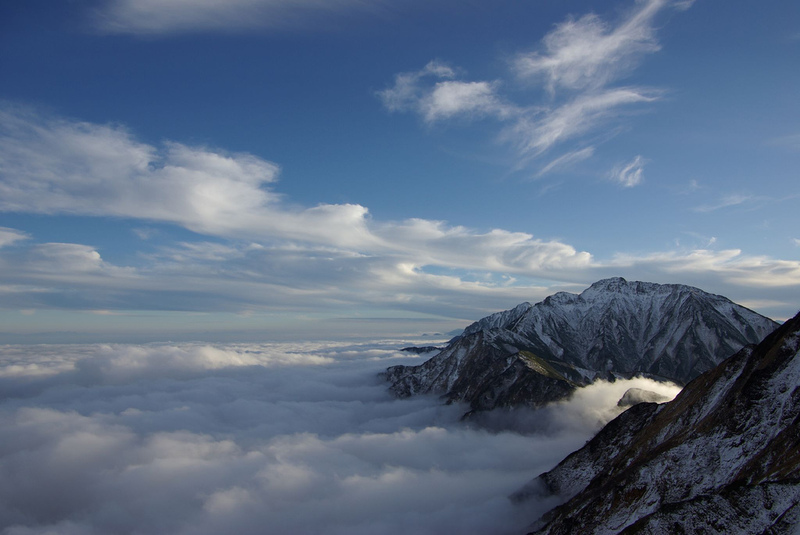 Ten of the largest resorts joined together and offered Hakuba Valley Ticket package. You can use them at any of these resorts. You should ask around and get this if you like it. Many local hotels also offer additional discounts to their guests. 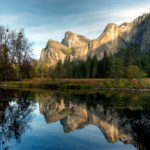 These are some of the things to have in mind because the trip itself is not that cheap. This is the biggest and the most popular resort in Hakuba. At Nagano Winter Olympics in 1998, it hosted the super g, downhill and combined ski events. Happoone is, of all resorts, the closest one to the Hakuba Station and the village center. There are a lot of options with various types of gear all over Hakuba. The Boarding Co is located opposite to Hakuba Railway Station. They have goggles, backcountry gear, L and XL size clothing and boots, accessories, and custom wetsuits and surfboards. Burton Pro Snowboard Shop and Rentals offer a large range of rental boards from Burton Pro Models to Learn to Ride. Spicy Rentals also have a huge range skies and snowboards. You get the free helmet for kids rentals. 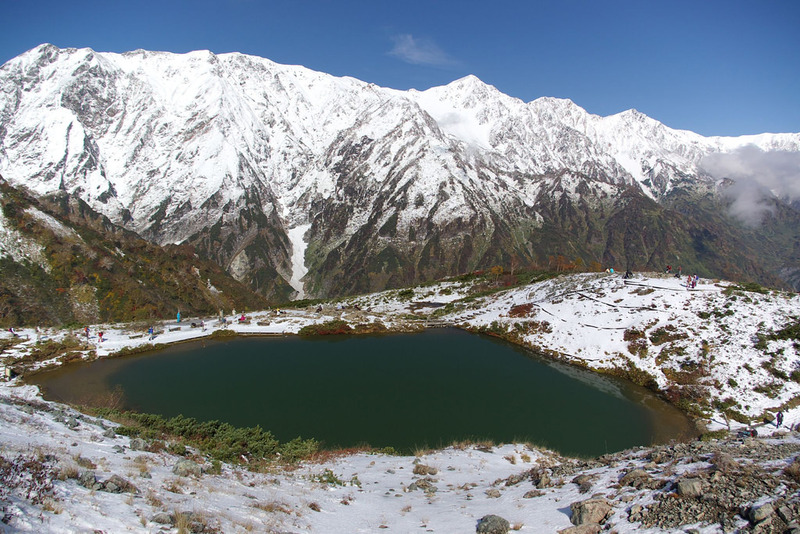 Visiting Hakuba during the summer, autumn, and spring can be a very good idea. Near Yakuba, you will find three amazingly clean freshwater lakes (Kizaki-ko, Nakazuna-ko, and Aoki-ko). There is an interesting fact about the Aoki-ko. They banned any use of the engines nearby and this is the quietest place in the area. You have access to mountain biking at Aoki-ko and Hakuba 47. 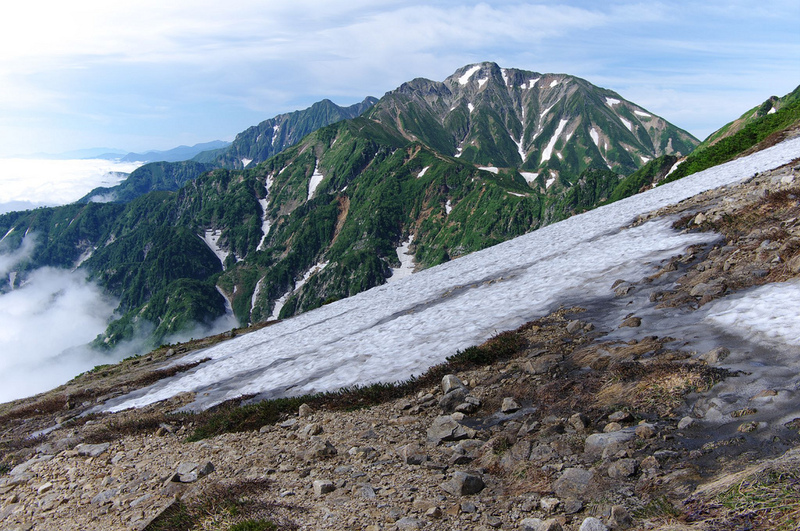 At Goryu, you will find a beautiful alpine garden instead of a top ski run. Another trail will lead you to the breathtaking viewpoint. A ropeway above Tsugaike will take you to a wetland that is a national park. Take a trail from there and you will get to Mt. Shirouma, the place after Hakuba got its name. When you are in Hakuba there is certain homegrown produce you should not miss. The most popular are purple rice and blueberries. You can purchase them in most of the gift shops around. Locally made daifuku or blueberry yokan are a good choice. Purple rice is also available at roadside stations all around Hakuba. You can take the JR Hokuriku Shinkansen from Tokyo to Nagano. It takes 100 minutes and costs 8000 yen. Then you have an express bus from Nagano to Hakuba. This usually takes 60-90 minutes and costs 1800-2000 yen. The bus stops at Hakuba Station and right at the center of various ski resorts. The Japan Rail Pass will include the shinkansen trip but you will still have to pay for the bus. You have numerous choices depending on what do you feel like eating. There are some nice French and Mexican restaurant. There is also a traditional izakaya with great food and friendly staff called Kicchonchon. At Eclipse Bar & Restaurant you can enjoy some fresh pasta, pizzas, salads and wonderful desserts. 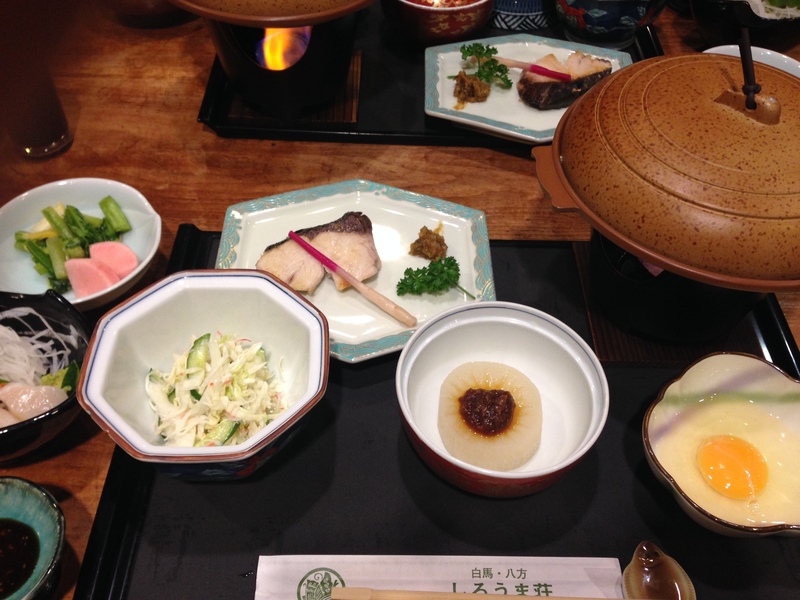 Yamano Hotel Restaurant will serve you some beautiful and stylish Japanese meals. Hakuba is very popular with international tourists simply because they offer something that most of the other ski resorts in Japan can not. The local people are super friendly and approachable to their international guests. Happoone is a very family friendly place and popular among families. A lot of different types of accommodations are available including self-contained lodging and luxury options. In the end, the most amazing nature, whether you come in the winter or you choose some warmer season to travel. It will still be a wonderful visit and something to remember.